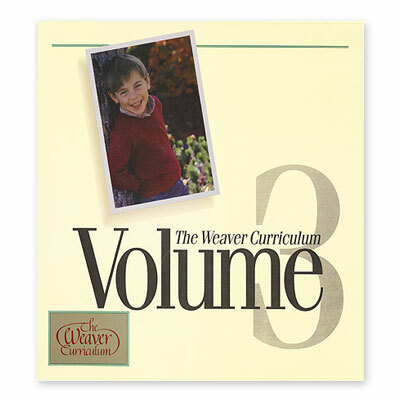 The Weaver Curriculum® Volume 3 continues the tradition of starting with the Bible and weaving in academics. As you study the book of Joshua you'll learn about exploration, espionage, and communication. You'll study American spies, forms of communication such as Morse code, and map-making. And this is only the beginning! While you study the book of Judges you'll be learning about the lives of early presidents, from George Washington to James Buchanan. As if that's not enough, the book of Ruth will lead you though studies on family units, celebrations, and authority. Don't want to spend a lot on multiple books for your children? Not sure how to organize your studies to cover all the material? Weaver can change all that! The Volume is your main guide, with a corresponding Day by Day lesson planning book to help plan your studies. The corresponding 7-12 Supplement brings your older students into the lessons allowing you to teach multiple grades at the same time. And, most important, the same color-coded pages you loved in the first two Volumes are repeated in Volume 3. The non-consumable format makes the Volume reusable in later years. Homeschooling will be the heart of your home with this Bible-based, hands-on curriculum. Order your copy of Weaver Volume 3 for grades K-6 from Alpha Omega Publications today and teach your children together!